Whether you have a standard asphalt roofing system, or one that’s made from stainless steel, it’s important that you perform preventive maintenance on it every month or so. Unlike reactive maintenance, it’s a more cost-effective way to maximize your roof’s utility and increase its life span. Signature Exteriors explains in-depth why preventive maintenance is better than a reactive one. Preventive maintenance allows you to head off roofing problems that can do severe damage to your roof. Leaks, for example, can grow in size in just a matter of weeks – starting from an unnoticeable hole in the roof to one that can cause water damage to a sizeable portion of your home. By doing preventive maintenance, you prevent problems like these from starting in the first place. This minimizes the need to do roof repairs, which can add up in time. While most roofs, such as asphalt shingle roofs, have a maximum lifespan of 25 years, this doesn’t take into account weather damage that can reduce that service life to half. Not only will the roof have a shorter lifespan, but it will also cost more to repair in the long run. By making preventive maintenance a habit every month, you’ll be able to maximize and even exceed your roof’s lifespan. It’s not uncommon for asphalt roofs to last as long as 50 years with proper maintenance and care. While preventive roof maintenance might seem like an unnecessary extra cost to some, it’s actually more affordable than reactive roof repair. Since you’re addressing problems while they’re still small, you prevent more debilitating and extensive damage that would cost you more. The money you spend on preventive maintenance is a pittance compared to the savings you’ll get when your roof is always in good condition. 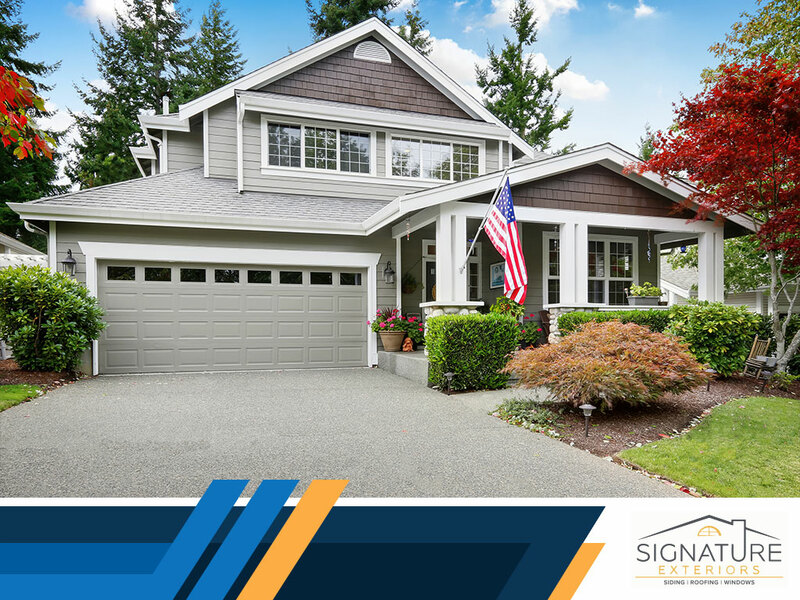 As your local roofing contractors, Signature Exteriors will help you create an effective roof maintenance plan for your home. Call us today at (866) 244-8029 to learn more about our services. We offer complete roofing services throughout Fairfield, CT and White Plains, NY.